Japanese born reedman Nobuyasu Furuya dedicates Second leader Album after Clean-Feed’s “Bendowa” (CF159) which is nominated as Best debutrelease of 2009 by All About Jazz New York. Furuya performs first massive Trio session with sworn partner bassist Hernani Faustino and drummer Gabriel Ferrandini. And second Quintet session, Joins rising-sun of portuguese piano Rodrigo Pinheiro, and master brass-man of portuguese improvisation music Eduardo Lala on trombone. 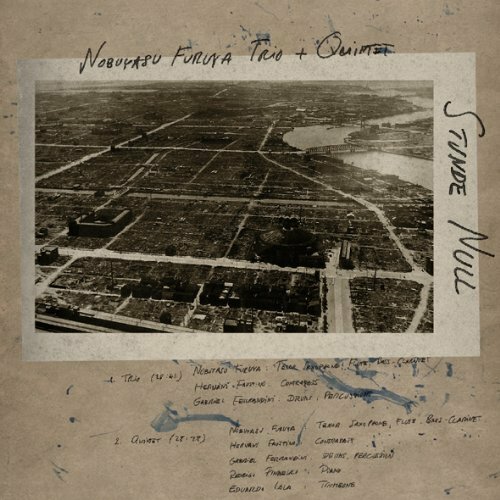 This album proves hybrid monster free-jazz as a result of confluence between Japanese and Portuguese soul. Furuya says “Jazz is perhaps already dead, but Free Jazz is not dead yet, as long as I blow the horn”. And his portuguese clan contribute to their radical capo to terminate free-jazz winter of the world. Stunde Null is truly the Zero Hour which starts from this free-jazz rebirth of 21st century.